cits, we computationally analyzed the process of how atypical perception is elicited in social contexts. 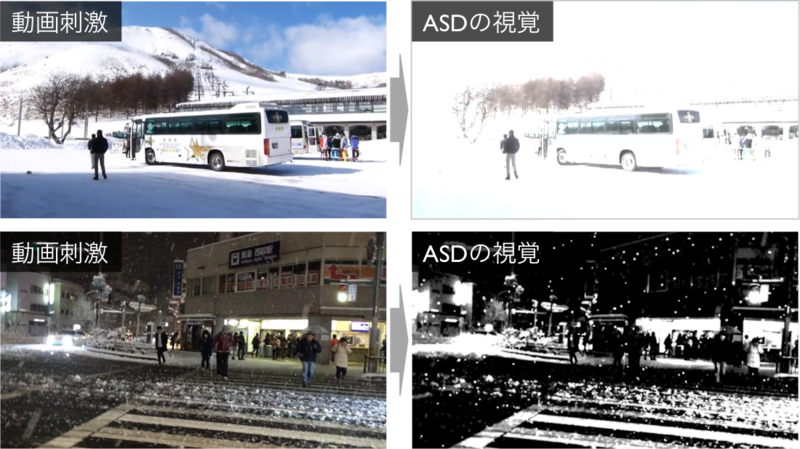 Our experiment employed visual and audio processing techniques to let ASD participants reproduce their experiences, and thus enabled us to objectively and quantitatively evaluate them. Our experimental results revealed several common patterns in their perception: high contrast and intensity associated with brightness, no color and blurring caused by movement, and so on. Potential physiological and neural causes for these symptoms are discussed to understand the underlying mechanism. 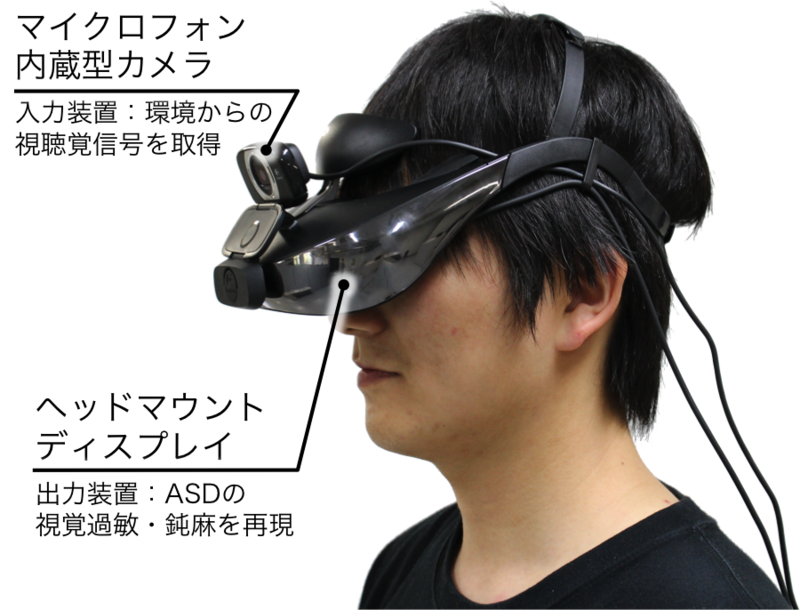 Moreover, we developed a head-mounted display system reproducing ASD’s visual world based on our ndings. Our system enables researchers to investigate the impact of atypical perception on social abilities.